Darwaze Per Ruke Baghair !!! Dar -o-deewaar Qayamat__ thahrey ! An alley to the interior ! 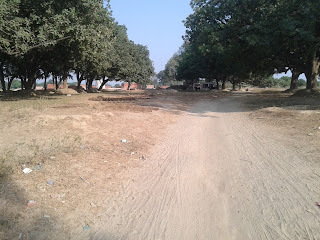 Ratgaha is a relatively mid-sized village located in Pargana & Tehsil Chail of Kaushambi District (formerly Allahabad ) UP (India) . 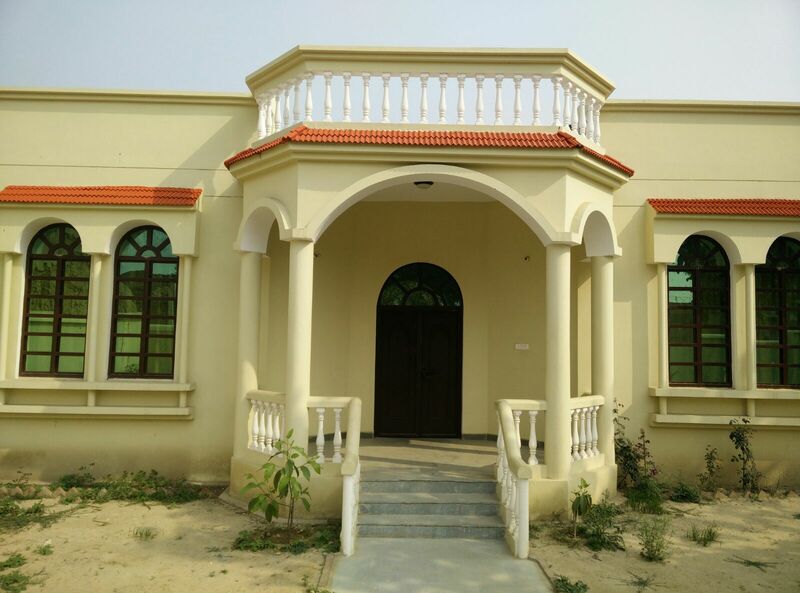 It is located 25 km to the east of the District Head quarters Manjhanpur and 3 km away from Chail town and about 200 Kilometers from the provincial capital Lucknow. It falls under the Chail Block within Charwa Police station. 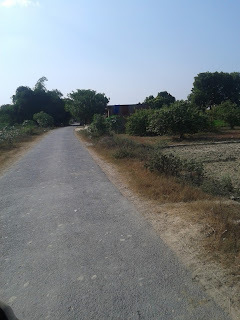 Nizampur Puraini , Muhiuddinpur taluka Saiyid Sarawan , Chilla Shah Bazi, Chilauli, Paharpur Sudhwar, Chail are the nearby Villages. 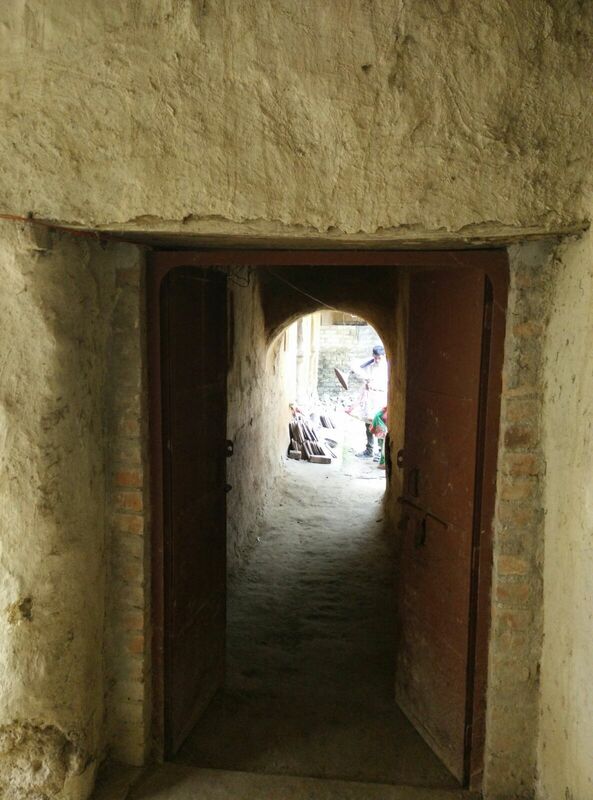 It is located a bit deeper inside the heart of Pargana Chail and hence you need to know the the correct way to reach the village. The easiest route would be to go through the slip way off the main Manauri-Chail road. 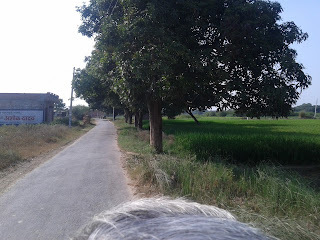 The total population of this village in 1951 was 655 while in the last census it is 2528. Out of this, 1370 are males while the females count 1158 here. 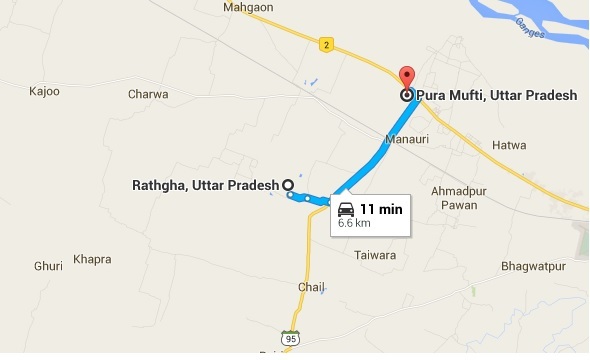 The total geographical area of village is 40.62 hectares. It is relatively a new village of Pargana Chail , an addition , the name of which is not found in the old records because the village was carved out, named and established few years after the uprising of 1857. 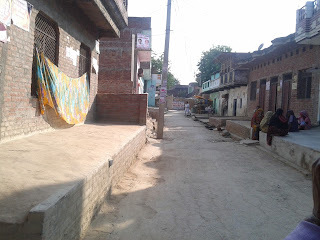 The history of the establishment of this village is closely associated with the disturbance in 1857. In order to get to the history of the village, we need to go back to history of the present city of Allahabad. 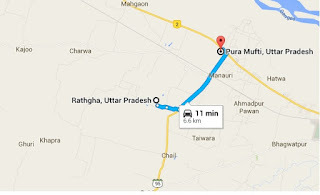 Before 1857 (Ghadar) there was a large village in Allahabad named” Muhiuddinpur Kaharia” . 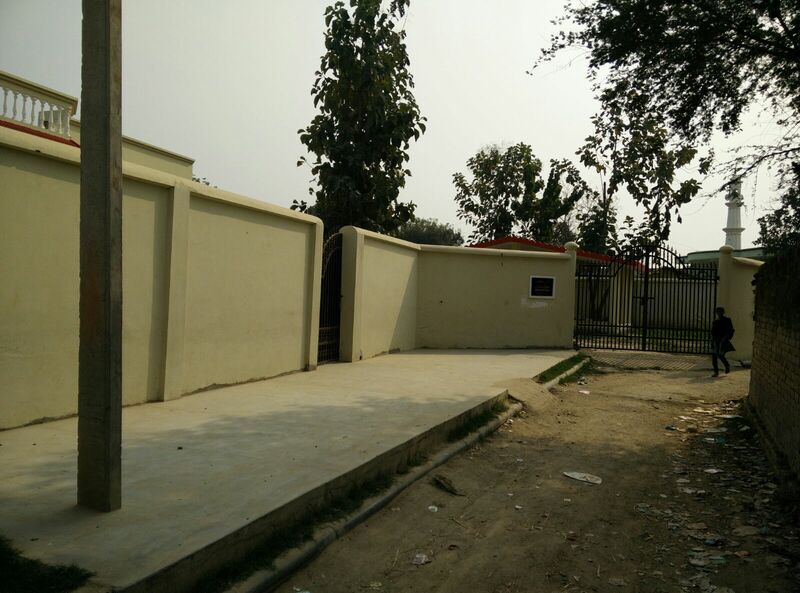 The village was located at the place where now stands High Court, Polo Groud, Railway Colony and some parts of Cantonment. The entire village with its adjoining Purwa (hamlets ) were owned by the descendants of Shaikh Muhiuddin Sahib who got this village from the Lucknow Nawabi in the beginning of 18th Century. 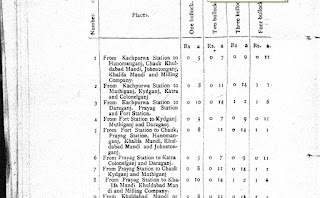 The Allahabad railway station as we know it today was initially known as Kachpurwa Station, even some old timers still know or call it “Kachpurwa Tesan”. Till twenty-thirty years back there was an entire generation that knew or called it Kachpurwa. The present Allahabad station is established on the lands of two different villages. 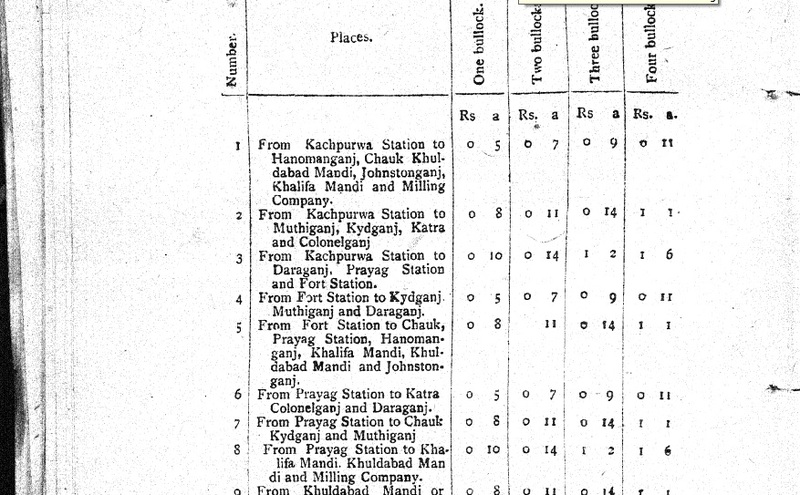 The City side station was a purwa inhabited & owned by Kacchis ( A Cultivater caste ) hence known as Kachpurwa. The majority land of the civil lines side was bordered & owned by Shaikh Ghulam Muhammad Urf Bechu Miyan , the owner of Muhiuddinpur Kaharia , a large village of Pargana Chail. 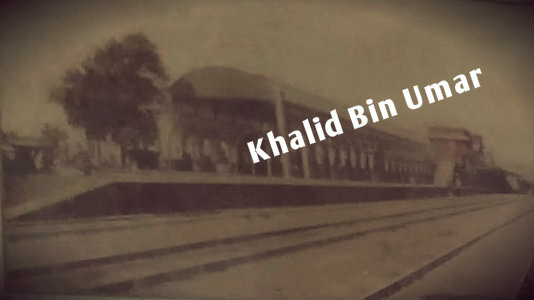 There is a legend about a a grave of a saint in Kachpurwa named Shah Karamat Ali , when the railways tracks were being laid , the authorities tried their level best but failed to lay tracks over his grave and after some miraculous happenings or mishaps they changed the route of the track. The same grave is today known as line Shah baba at Allahabad Station. During the upheaval & disturbance in 1857 when the law & order broke down and chaos prevailed, the zamindar family of Kaharia which evidently did not take part in the uprising left the village with whatever baggage they could carry on fearing the backlash. Their nearest relatives were in the Village Niwan and hence they pitched their tents in Neewan Village. 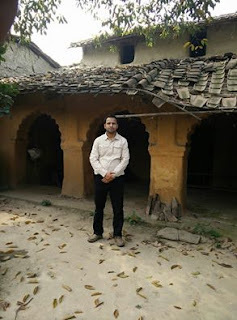 Neewan was/is a large village on the banks of river Ganges a part of which was taken over and included in the Cantonment in the aftermath of 1857.The Kaharia family lived in Neewan for six months. 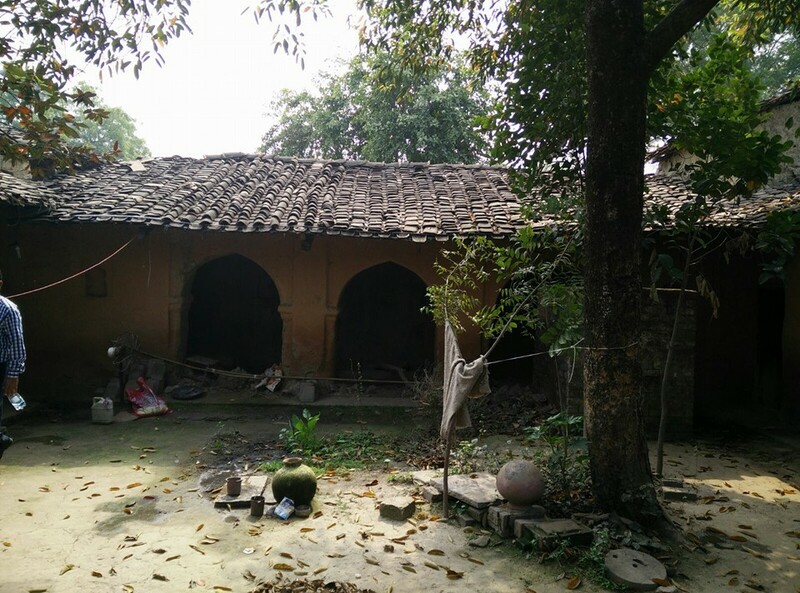 The Zamindars of Niwan too had suffered badly and were struggling to hold on and with the sudden influx of refugees of many villages like Baghara, Salori, Kaharia, their patience and capacity were on the test. Moreover after the British recapture, the apprehensions proved true as the British started the revenge game and ,when most of the trees on the GT road was filled with dead bodies and indiscriminate killing became the rage of the day.The news of soldiers approaching Neewan became a daily routine then the family of Muhiuddinpur Kahariya thought it wise to shift to other place. This time they shifted to Saiyid Sarawan with the other relatives. 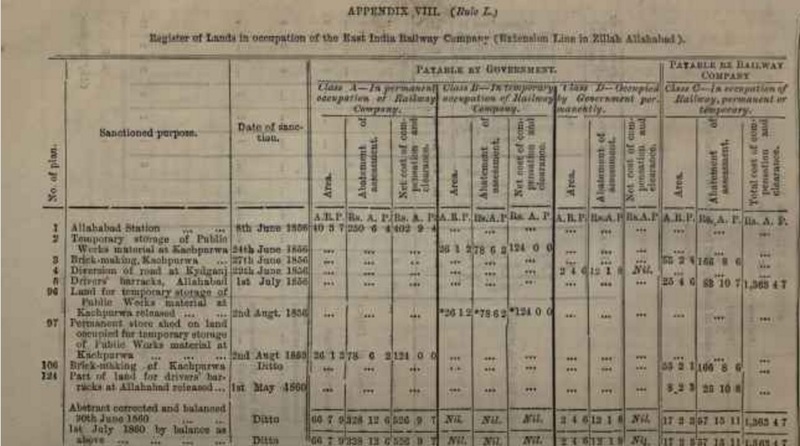 It was the beginning of 1858 when the family of Zamindars of Kaharia landed in Saiyid sarawan, the railway line was being earmarked and the residents were looking for the new dwelling spaces. 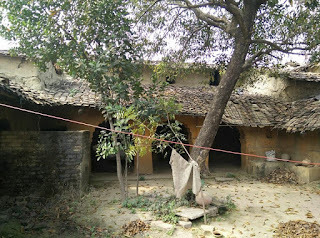 The family lived in the eastern part of the village with their relatives. It is noteworthy that they lived in Saiyid Sarawan for almost 3 years and became a part of the the village fraternity. 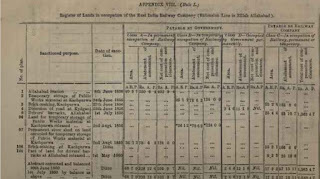 During the course of time , the British government decided to compensate the loss of lands of the erstwhile landlords and probably Shaikh Ghulam Muhammad Alias Bechu Miyan was the only Zamindar from the city side who was compensated in 1862. 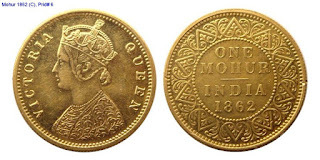 It is reported that he got 14 loads of Gold Mohars ( Ginnis ) carried through donkeys in the compensation. 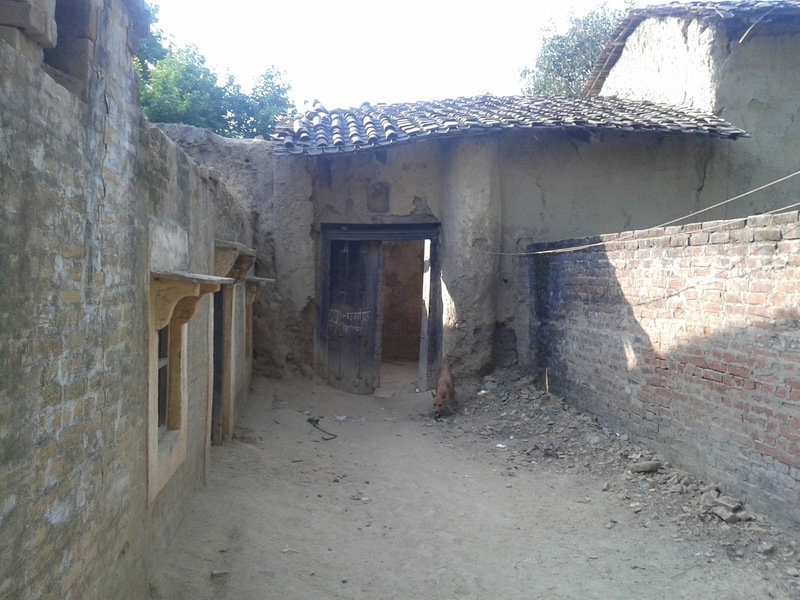 Immediately an large Guava orchard was purchased near the village Muhiddunpur Taluka Saiyid Sarawan owned by a a teli of Saiyid Sarawan and the foundation of four houses for four sons of Bechu Miyan were laid in a night and the family shifted thereafter. Since the village & the houses were founded in a night, they village was called Rati+Gaha (went through the night) that became RAT-GAHA over the period of time. 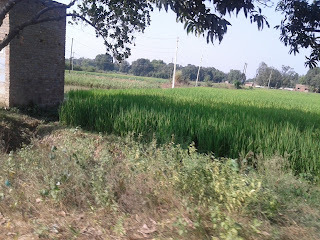 It becomes clear that are originally the landlords of Muhiuddinpur Kaharia with 16 Annas of share along with the Mazras. This Kaharia village proudly carries the High Court, Polo Ground and other building in the civil lines including a part of Cantonment and the civil lines side of Allahabad railway station. What we know today definitely is that Shaikh Muhiuddin Sahib was the originator and founder of Village Muhiuddinpur Kaharia. 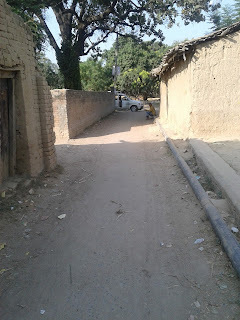 He had a son named Shaikh Lutf Ulah and he had Shaikh Noor Muhammad and he had Shaikh Ghulam Muhammad Alias BECHU MIYAN……This Bechu Miyan was alive when the 1857 uprising took place , He along with his four sons namely Ramzan Ali , Sadiq Ali , Hidayat Ali , Qaasim Ali left the village for safety. These four sons are the founders & originators of village RATGAHA. There are four houses in Ratgaha from where come all the shaikhs of Ratgaha. If someone is from Ratgaha , his/her paternal line should reach one of these four brothers. 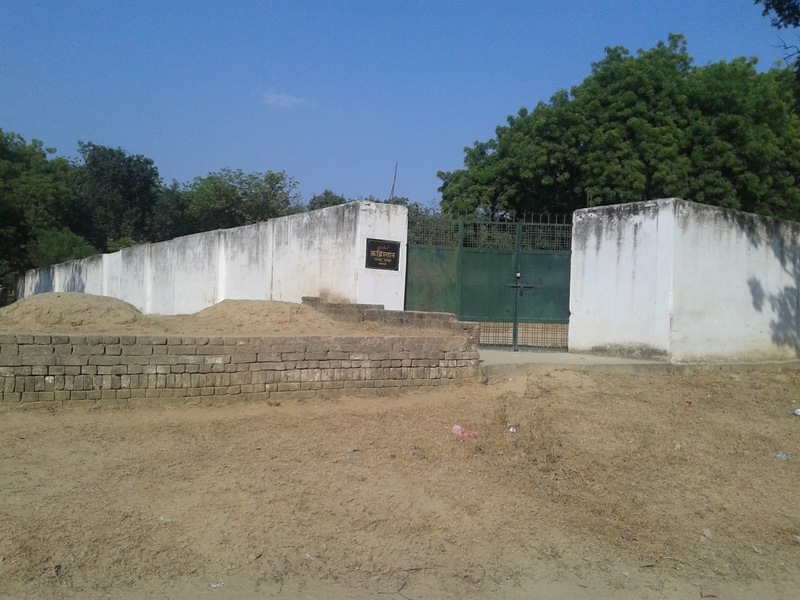 Shaikh Muhiuddin & his sons are buried in the cemetery around the tomb of Chaudah Peer (14 Peer) complex near the Polo Ground , Civil Lines Allahabad as this was their ancestral burial grounds & part of their village. Even Shaikh Ramzan Ali is buried in the village Muhiuddinpur (now 14 Peer dargah )complex whereas the later ones are buried in Ratgaha. 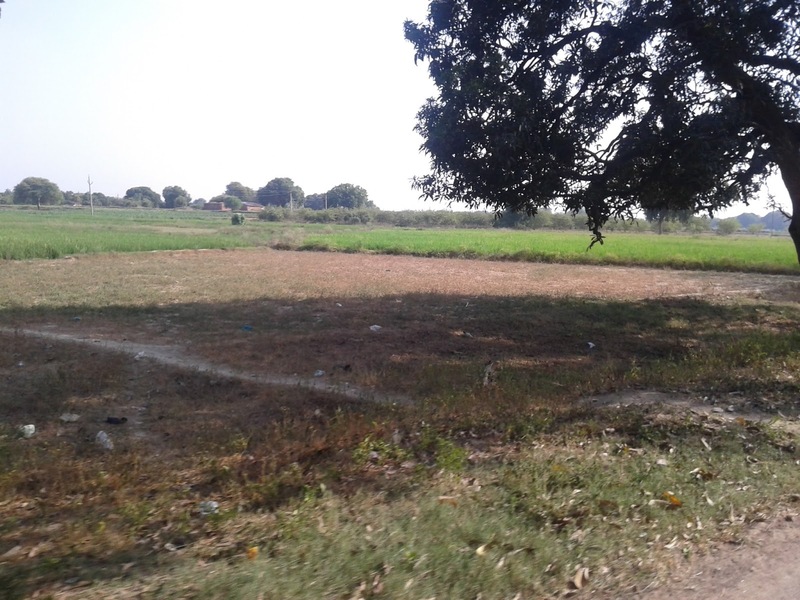 There is no doubt that they were one of the major landowners of Allahabad with a premium tract of land in their possession. 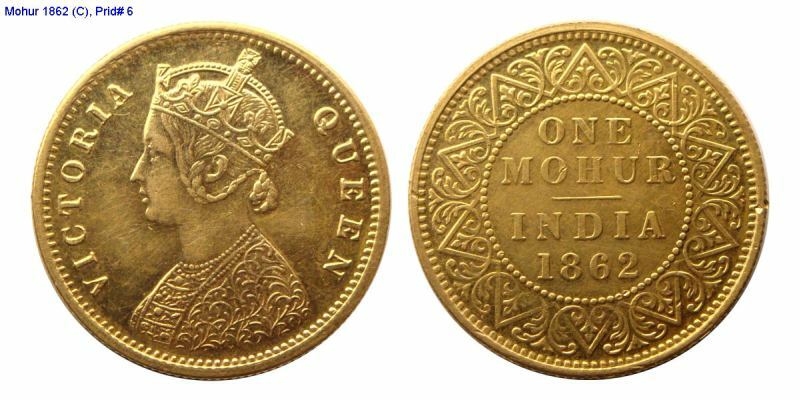 But their fortunes took a very ugly turn when the uprising of 1857 broke out and the debacle of Indian forces brought severe hardship & misfortune for the entire lot of Zamindars of Chail. The lands of Muhiuddinpur Kaharia was confiscated and later earmarked for Cannington ( as Civil Lines was originally known), the old glory & comfort of the family could never be restored although they did purchase ,inhabit and populate another village named Ratgaha . They had got satisfied with their lot and turned their attention towards modern education that helped save their progeny from further fall. It was a wise move. Since the family is reputed to be of a high origin. Their marriages have always taken place with their counterparts in Chail. Mostly they married with the Shaikhs of Neewan & Saiyid Sarawan ,Chail Khas , Audhan, Peepal Gaon, Shaikhpur, Bada Gaon etc. They were known to be a bit choosy lot when it came to contracting marriages….As a result they don’t have a very large kinship network but whatever relations and marriages they have contracted , they are with the “selected few families and hence they have maintained the sanctity of bloodline to a greater extent than others. Usmani or Siddiqi or What ? Here I would like to comment on the surname “USMANI” that some of the family members have started using for the past 50-60 years. As stated above that the original family tree was lost and could not be traced therefore today it is almost impossible to ascertain which branch of Shaikhs they actually came from? Now the questions arises as to why the family is using USMANI with their names so frequently ? My answer is that they picked up this Surname from Saiyid Sarawan. We know that they lived in Saiyid Sarawan for about 3 years and it is highly possible that they picked up their surname from there only. There is no documentary evidence or proof to support that they are descended from Hadhrat Usman (RA) or they are Usmanis. It is only their stay at Saiyid Sarawan that emboldened them and they used it inadvertently which became a norm & surname of the Ratgaha family. As a matter of fact none of the elders of this family had ever used USMANI with their name. I had consulted this issue with Janab Zafeer Ahmad Marhoom of Audhan who was from the same family who admitted that they are not Usmanis and he was of the view that they might be Shaikh of Siddiqi origin. He further informed that Shaikh Muhiuddin’s nanihal was also a siddiqi and his take was that the family is of Siddiqi origin. He himself did never use “USMANI” with his name. 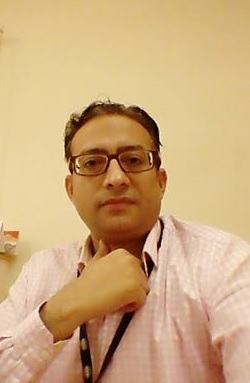 The family at Rajkot is using Siddiqi as the same surname and the Poet in Kanpur too used the same, namely , Yazdani Siddiqi Marhoom who was from the same family. If you ask me,my hunch is that they are most probably an off-shoot of one of Siddiqi Shaikhs of Chail. They are certainly not Usmanis. This view should not be taken as a dress down or objection in disapproval. I have mentioned this just to give you a clear picture, so that in case there is any documentary evidence to prove otherwise, it should come out now and clarify things once for all. And Allaah SWT knows best. 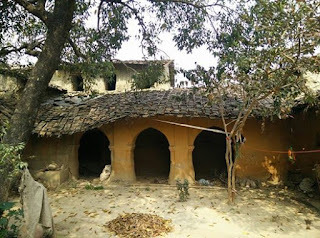 Ghulam Muhammad Alias Bechu Miyan is the progenitor of Ratgaha, He had four sons , Ramzan Ali, Sadiq Ali, Hidayat Ali and Qasim Ali. These four brothers and their descendents are what we know as Ratgaha family today. 1. Ramzan Ali had Abdul Sattar & Ghulam Yazdani, Abdul sattar had two daughters only without a son. 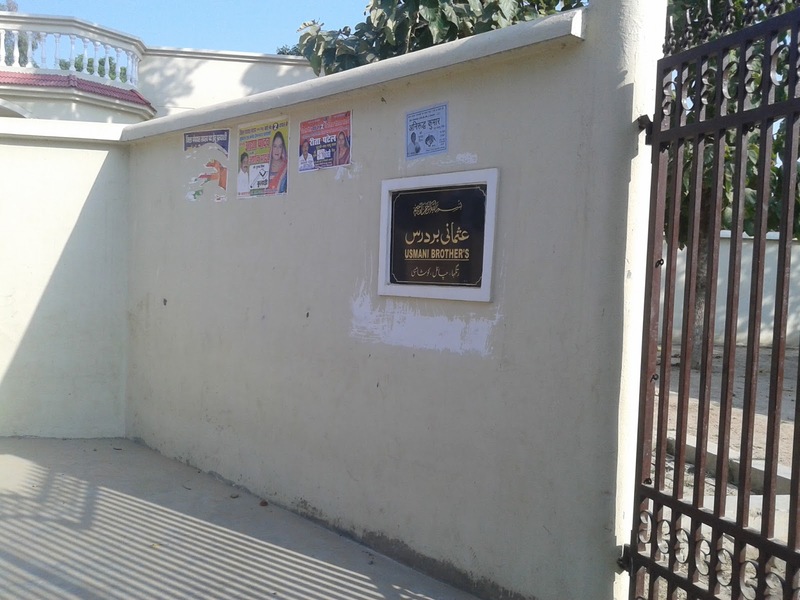 While Ghulam Yazdani had Saad-ud-din who had Ghulam Muhiyuddin Urf Pyare Miyan (D.2010) , Now Pyare Miyan fathered three, Muhammad Muqbil (Aaley), Qamar-uddin (Munney) and Shams-uddin (Samar). 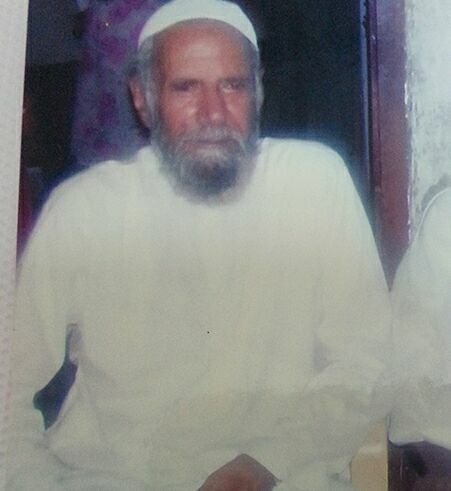 Muhammad Muqbil Aaley is the father of Muhammad Parvez, Owais Usmani, Saif , Taahir & Asif Usmani & Khalid (Late). 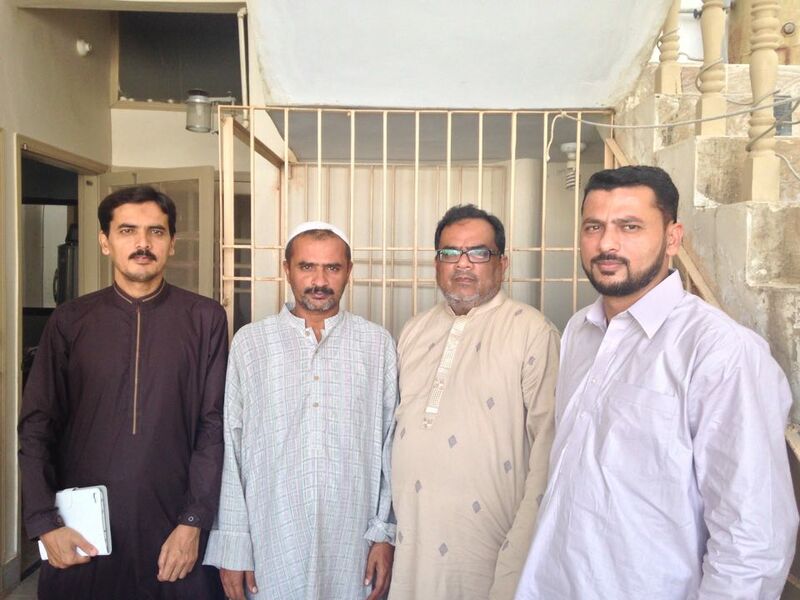 Qamaruddin Munney has Faisal Qamar Alias Faiz ( known better as Aksar Allahabadi) & Afzal ( Monis)___Shamsuddin Samar Miyan fathered Fazal, Fuzail Usmani, Shuaib and Fazil & Fazeel Usmani. From R to L - Tauqeer , Taskheer & Safeer Sb. 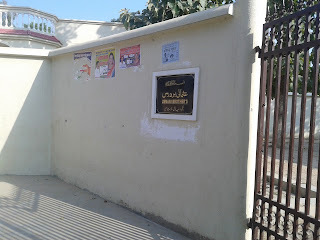 Nawab Husain had Shabbir Ahmad & Sagheer Ahmad. Now Shabbeer Ahmad has Zubair Ahmad Urf Achchan (Pak) and Zuhair-ul-Azam who too migrated to pakistan. Sagheer Ahmad was employed in Jhansi in the pre-partition times , unfortunately he was killed during the riots in 1947. He fathered two, Khalid Mujeed Ahmad ( Usmani ) and Haseeb Ahmad, both in Pakistan. 3. 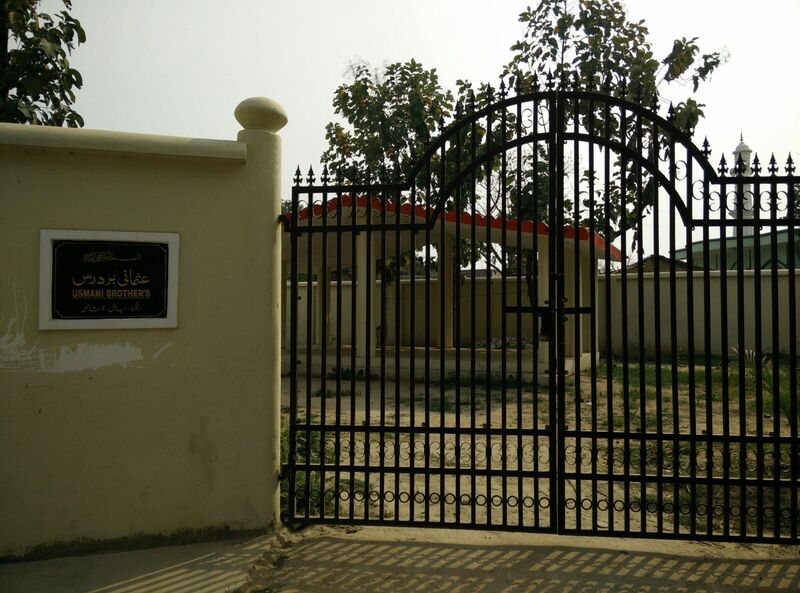 Hidayat Ali had two sons, Ghulam Rabbani and Ghulam Jeelani. Ghulam Rabbani had a son named Ghulam Haqqani who shifted to & lived in Kanpur till his death. He had three sons , Ghulam Yazdani ( Nafees Ahmad ) , Mabood Ahmad and Maashooq Ahmad in Kanpur. _______________Ghulam Jeelani had two sons namely Muizuddin and Samiuddin. 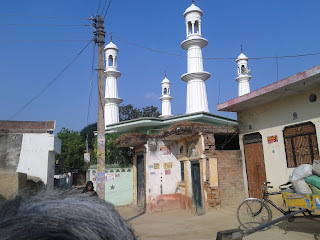 Now Muizuddin had three sons, Riyazuddin Urf Rijjan, Muhib Ullah Urf Munshi Ji and Inaam Ullah Urf Darogha Ji. All three brothers were in the Police Dept. 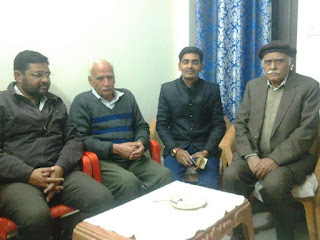 _______RIyazuddin sahib (Retd S.O) had two sons, Janab Ahmad Ullah Principal Mahgaon Inter College who had only a daughter Baby and Kaleem Ullah Urf Babu ( Asstt BSA-Fatehpur ) who has a daughter Imrana _______Inamullah Urf Darogha Ji who after retirement lived in Ratgaha but later on went to live with his son Muhammad Ullah Siddiqi who was employed in railway and settled in Rajkot (Gujarat). 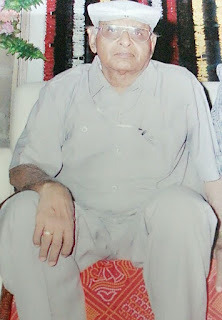 Muhammad Ullah sahib settled in Rajkot after retirement and has five sons namely Arshad ullah pappu, Irshad Ullah guddu, Parvez Akhtar Siddiqi Babli, Tabrez Akhtar Pintoo and Tanveer Akhtar Raju. ___________Muhibullah Urf Munshi JI had three daughters only. __________Above mentioned Sami uddin had Wali Ullah who had two daughters only. 4.The fourth son Qasim Ali has six sons and a daughter. His sons were Ameer-uddin, Maulvi Zia-uddin, Wahaj-uddin, Saeed uddin, Hameed-uddin, Nazeer-uddin. Now three of his sons namely Janab Ameeruddin Sahib, Nazeer-udin Sahib and Maulvi Zia ul haq had a daughter with no son whereas Hameed-uddin had no issue. Only two Wahaj-ud-din And Saeed-uddin had the family tree growing up through male members. Jb Iftikhar Ahmad Iffan Sb. 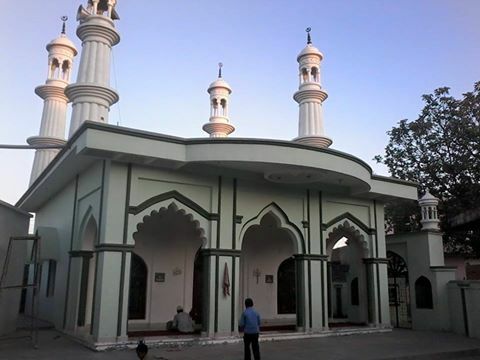 Wahajuddin Sahib had four sons, namely Siraj-uddin, Haseen-uddin, Iftikhar Ahmad and Imtiyaz Ahmad( Pak). Now Sirajuddin sahib was employed in Chittagong and he later on shifted to Karachi , he had two sons namely Qamar-ul-Islam Urf Shahzade and Saif ul Islam Urf Swaleh in Karachi._____Haseenuddin Sahib Urf Assan MIyan had seven sons, Fakhrul Islam Urf Banney , Badarul Islam urf Naushe (Pak), Riyazul Islam Urf Dularey , Noor ul Islam Urf Chand, Rooh-ul-Islam Urf Shahid , Zahir-ul-Islam Urf Sajid(Kolkata) and Zahir-ul-islam Urf Munna.___________ Iftikhar Ahmad Urf Iffan Miyan was a teacher in Shervani Inter College, Sallahpur and lived there, He fathered Anwar Ahmad, Irshad Ahmad , Absar Ahmad and Tanweer Ahmad._____________Last one Imtiyaz Ahmad urf Imman MIyan migrated to Pak in 1960 and further information about his sons could not be gathered. Saeed-ud-Din Sahib had two sons, Majeed-ud-din and Waheed-ud-din. Majeed-ud-din Marhoom was married in Mahgaon but he got some shares in bharwari thereupon he settled in Bharwari. His sons are Ladey Sahib, Haseen urf Dularey, Shameem and Waseeem Ahmad . Waheed-ud-din s/o Saeed-ud-din went to Hyderabad Deccan and we do not have any information about his pursuit and issues thereafter. He had a son Maqbool Ahmad. Haji Hameed-uddin Sahib a retired police officer ,was married in Seondha , his marriage had an ominous memory as hundreds of attendees died due to food poisioing in the food. He had a son who died at young age without any issue.Haji Hameeduddin expired in 1962. 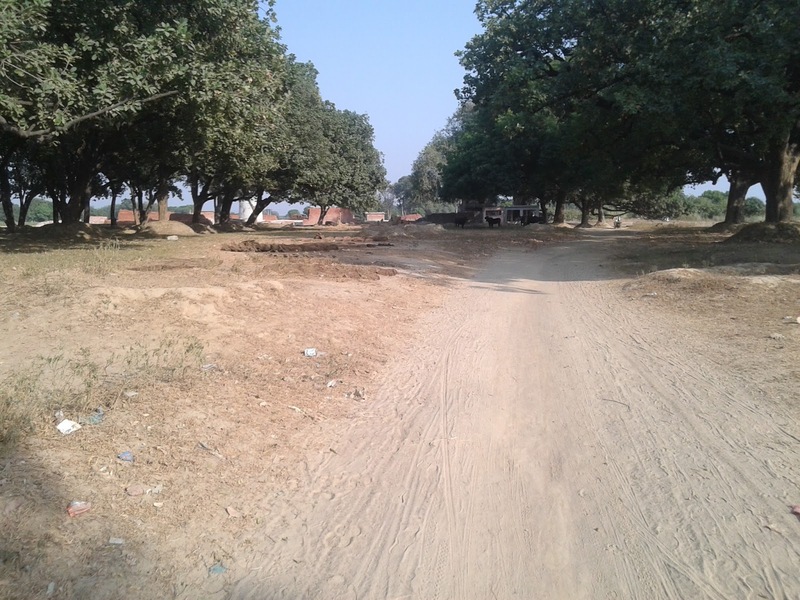 Since the village itself was a new settlement, none of the others migrated to Ratgaha but a few from Ratgaha did migrate to other places/villages for a better future. The following have shifted from Ratgaha upon getting shares from their maternal or in-laws. 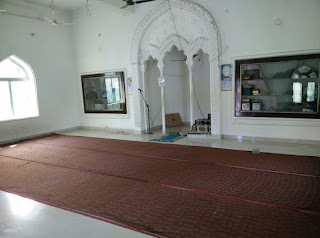 (i) First Mention may be made for Janab Majeed-ud-din of Ratgaha who migrated to BHARWARI and today his sons Janab ladey , Haseen , Raheem , shameem sahiban are well settled in Bharwari , they are originally from Ratgaha. (ii) His brother Janab Waheed-ud-Din migrated to Hyderabad Deccan. Today we do not know the status & whereabouts of this famiy as they have cut off the ties altogether. 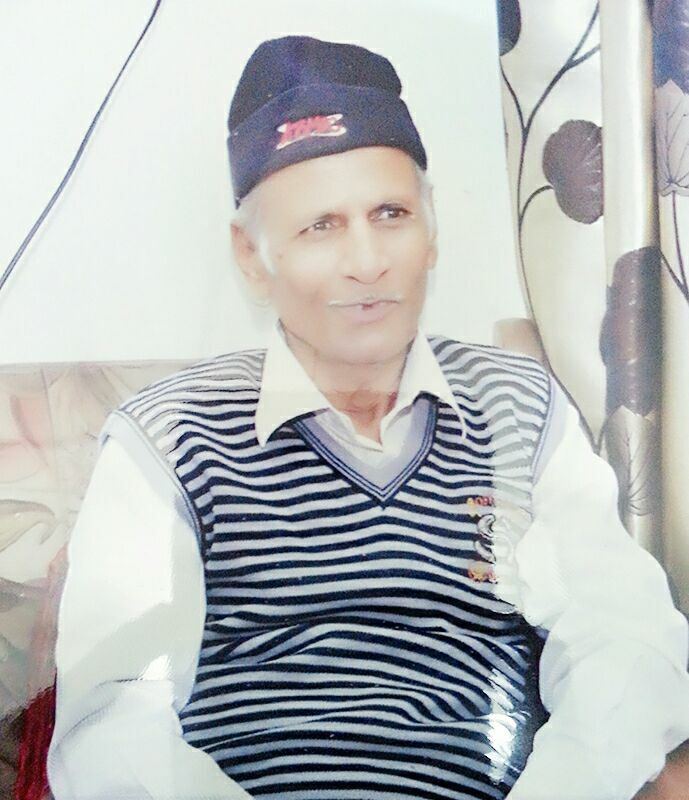 (iii) Ghulam Imam Husain shifted to Audhan after a share in nanihal. His son Zafeer Ahmad lived in Audhan while his brothers Safeer Ahmad , Taskheer Ahmad and Tauqeer Ahmad migrated to Pakistan. 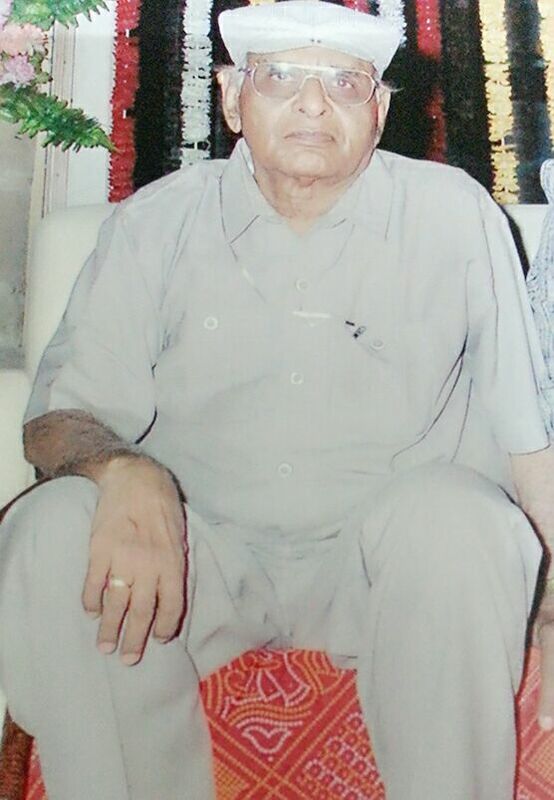 (iv) Mohammad Ullah Sahib s/o Inaam Ullah aka Darogha Ji was employed with the Indian Railways who settled in Rajkot after the retirement. His sons are doing very well there. (v) Siraj-ud-din S/o Wahajuddin migrated to Pakistan. His sons Qamrul Islam & Saiful Islam are there. 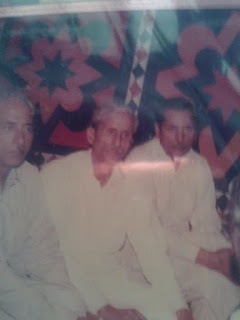 (vi) The sons of Ghulam Imam Husain , namely Safeer Ahmad, Taskheer Ahmad and Tauqeer Ahmad went to Pakistan. Janab Saaduddin was a city kotwal of Mahmoodabad ( Sitapur) he died young while in service. His son Ghulam Muhyiuddin aka Pyare Miyan too served the UP Police. Maulvi Zia-ul-Haq was a scholar of Arabic & Persian. he who served as a Persian teacher at CAV College Allahabad too. He authored several books e.g Taiseerul Qawaid. 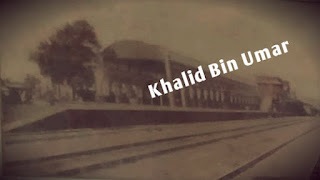 Janab Wahajuddin Sahib was also a Kotwal in the British era. 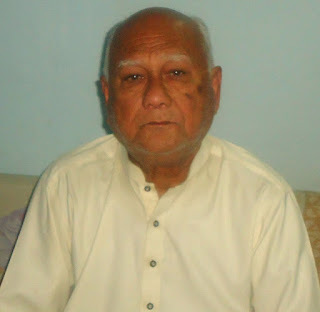 His grand-son Qamrul Islam is a writer based at Karachi. Janab Haseen-uddin aka Assan Sahib was a police inspector, His son Fakhrul Islam aka Banney Sahib has recently expired who was associated with Chail welfare Society in Allahabad. 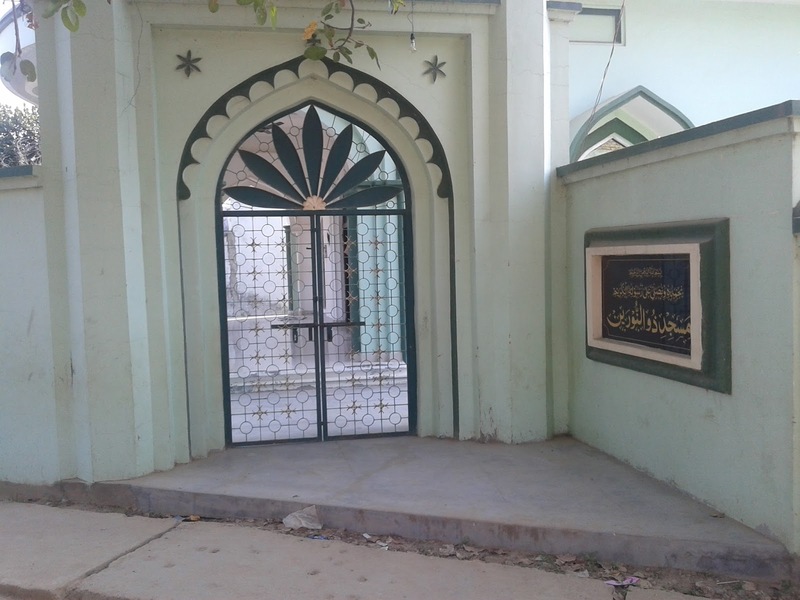 Janab Iftikhar Ahmad aka Iffan Sahib was a teacher at Shervani College Sallahpur and settled there. His 2nd son Irshad Ahmad aka Dr. Rashid runs a nursing home in Charwa. Janab Ladey Sahib s/o Majeed-ud-din Bharwari is running a successful business of Milk Dairy at Bharwari. His sons have further expanded the Business. Janab Haseen Ahmad Sahib s/o Majeed-ud-din was in AG office , his son Asad is an I.E.S. 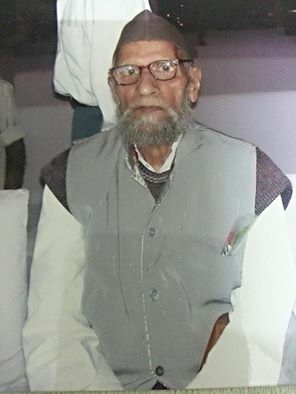 Janab Ahmad Ullah Sahib was the famed principal of Mahgaon Inter College, who ,after retirement had settled at Saiyid Sarawan till his death. 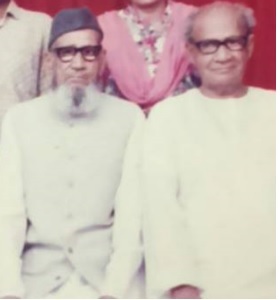 Special mention must be made for Mr. Qamar-ul islam Usmani , a writer in pakistan who has made a mark in translating detective stories into Urdu , Born in his nanihal Kathgaon , After doing Matriculation in 1956 from Sallahpur, he joined his father at Chittagong where he was working with the Railways. Subsequently they migrated to Karachi in 1958. He started with translations from Persian to Urdu later from other languages and thus enriched the collection of Urdu detective story genre by penning around 300 short stories. His stories were regularly published in urdu digests like Sab Rang, Dosheeza etc. 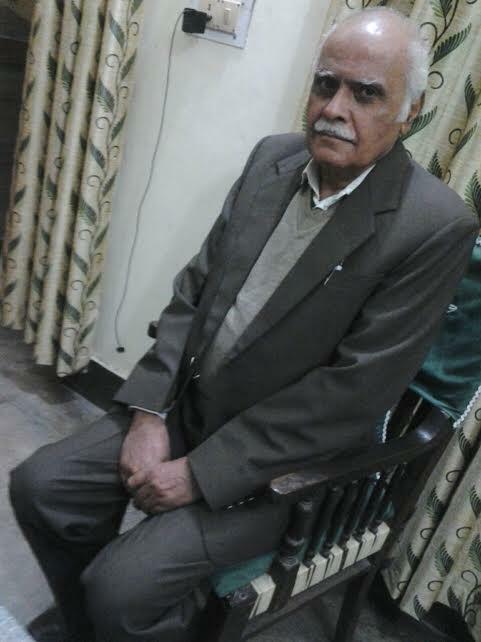 By profession he is a teacher , superannuated few years back as Principal in Karachi. 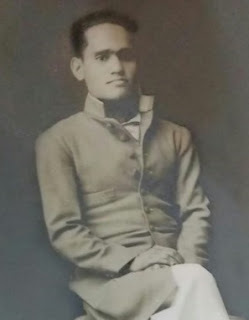 Marhoom Ghulam Yazdani aka Yazdani Siddiqi was a famous poet based at Kanpur. 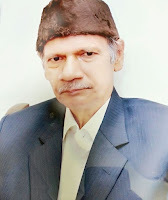 Janab Muhammad Muqbil aka Aaley was in AG Office, Janab Shamsuddin Samar sahib superannuated as Post Master in Allahabad while janab Qamaruddin Munney Sahib retired as a principal In Govt Collage . Faisal Qamar Usmani aka Aksar Allahabadi is busy into film script & lyrics writing trying his luck firstly at Chennai and now in Mumbai. Mention must be made of those few who have revived Ratgaha’s name & fame in our times. 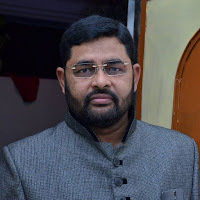 The foremost are the sons of Muhammad Muqbil aka Aaley , particularly Owais Usmani who in a relatively short span of time has grown leaps & bounds and virtually carved a convincing niche for himself in the business world by the grace of Allaah SWT. Owais Usmani is an exemplary entrepreneur who seems to have dreamt big and made that happen. He began his career as an employee in a mining company at Muscat (Oman) and grew up to become a partner of the same company. His hard work, dedication and focused approach helped the company grow exponentially. Afterwards he expanded as well as diversified his business in Oman by stepping into other diverse business sectors. In fact, within a period of 10 years, he wrote a splendid story of success and fame which is an inspiration for the aspiring entrepreneurs. 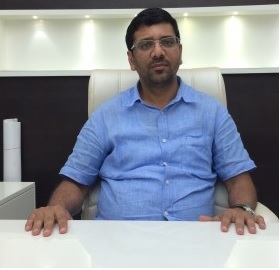 Today he owns or has majority shares (1) in & Arabian Minerals Trading, which exports chrome ore and mineral products to United Arab Emirates, China and India & (2) in National Gulf Minerals & Mining Co. LLC, Muscat, which is the highest exporter of non-ferrous metal products in the country (3) in Aalia Star Mining Materials (Shanghai) Co. Ltd. Shanghai China, which imports chrome ore, iron ore, manganese ore and marble in China. Apart from success in different business verticals, he has forayed into real estate development in India by launching his first flagship, 100% FDI-funded project 'Presidency Heights', slated to come up on Yamuna Expressway at Greater Noida. The project is also committed to make sectored investment of Rs 2000 crore in the region. His story of success has many lessons and may hard earned tips for the young entrepreneurs to learn. Business has to do more than make a profit; it also must drive social change. Keeping the principle in mind, the Usmanis have entrusted this noble task to younger brother Asif Usmani who has launched a Non-Governmental Organization named Glow Star Welfare Society in Allahabad that intends to make a positive contribution to the society with a focus on education, healthcare, livelihood as most of the villages in Chail are facing acute poverty with lack of basic facilities and rampant unemployment. I hope & pray that he continues his good work bringing about a real change in the lives of the countrymen. Mention may be made of another gem of Ratgaha, Parwez Akhtar Siddiqui son of Janab Muhammad Ullah Siddiqui, based at Rajkot (Gujarat ) who has made a mark in manufacturing industrial products under the brand name Leo.His sole proprietorship Leo Marketing Company Rajkot is engaged in Tractor Trailer Hydraulic Jacks & Accessories, Submersible Pumps and Agriculture Machine Parts and doing a brisk business overall. Ghar ki khatir sau dukh jhele__Ghar to akhir apna hai !!! well done Khalid bhai !!! Good Deed and well done. Karachi.Post Script:- I think Shaikhs are revered in Chail as I felt from your article whereas in Sindh Shaikh are mostly those Hindu who reverted to Islam in 18th century and early. Great post Khalid Sahab. 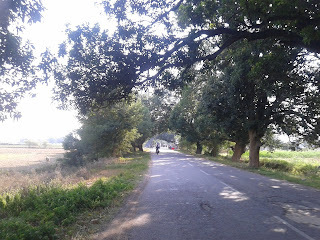 Good to see this blog active after a long time!